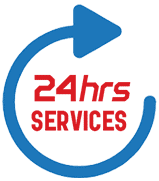 All Hours Emergency Plumber understands that in the event that a leak goes undetected for a period of time, mold growth is likely to happen (this can happen in less than 48 hours under certain conditions). Mold growth is not something to be taken lightly and it is definitely not something that homeowners should try to take care of on their own. In these instances, the Team at All Hours Emergency Plumber can determine if mold growth has likely occurred near the source of a leak and what steps should take place next. Mold remediation requires a very specific set of protocols and the procedures outlines in that protocol must be followed precisely. In the event that mold has been found in your home, only a licensed mold assessor and remediator should address this issue. All Hours Emergency Plumber is a partner that you can rely on to keep your family safe and healthy in the event that you suspect that dangerous mold growth may be present in your home.